刘硕博, 唐祖蓉, 申望, 叶莹莹, 陈晓磊, 祁鹏志, 郭宝英. 2019. LIU Shuo-Bo, TANG Zu-Rong, SHEN Wang, YE Ying-Ying, CHEN Xiao-Lei, QI Peng-Zhi, GUO Bao-Ying. 2019. Oceanologia et Limnologia Sinica, 50(2): 355-364. LIU Shuo-Bo, TANG Zu-Rong, SHEN Wang, YE Ying-Ying, CHEN Xiao-Lei, QI Peng-Zhi, GUO Bao-Ying. 2019. 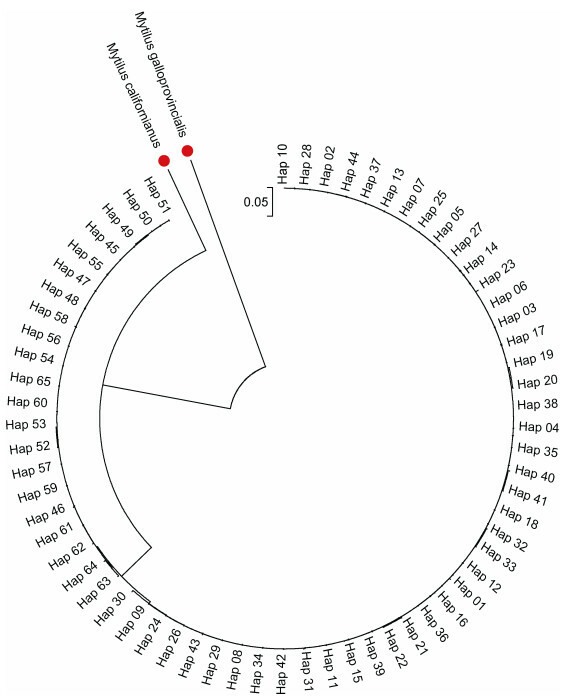 STUDY ON THE GENETIC DIVERSITY OF MYTILUS CORUSCUS IN THE EAST CHINA SEA[J]. Oceanologia et Limnologia Sinica, 50(2): 355-364. 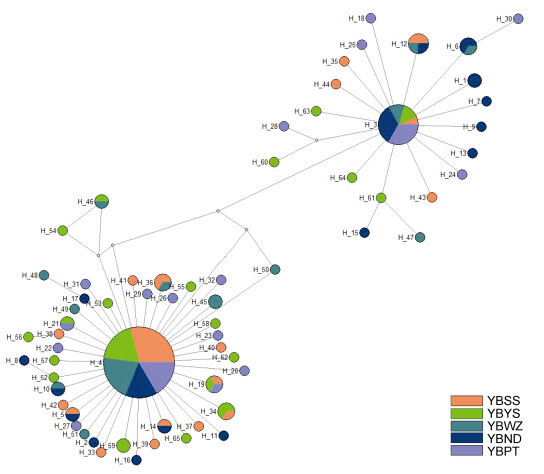 Abstract: To understand the genetic diversity of Mytilus coruscus in the East China Sea, the F mtDNA D-loop was used as a marker for M. coruscus populations sampled in five sea areas including Shengshi, Yushan, and Nanji Islands of Zhejiang Province, and Ningde Bay and Nanri Island of Fujian Province. Results show that the genetic diversity of these populations showed no significant difference. Among the five populations, the Ningde Bay population had the most abundant genetic diversity, and showed a higher haplotype and lower nucleotide diversity among the five populations. In addition, the genetic differentiation coefficient (Fst) and gene flow (Nm) among populations were determined. Among the five populations, that the Fst values were very low while the Nm values were high (Nm absolute value>1), indicating that there are abundant gene exchanges. However, the Fst values of Ningde population of Fujian Province and other three coastal populations of Zhejiang Province were relatively high, and the differences were significant (P < 0.5), indicating that there was a genetic differentiation between the Ningde population and the three populations. The findings of the study may provide a theoretical basis for the protection and management of the marine economic shellfish resources.